We’ve just completed a quick 2-week Masterplan Concept Design for the Santa Fe School for the Arts and Sciences (SFSAS - www.santafeschool.org). It was indeed a pleasure to collaborate with the staff and faculty of the school on their campus. Needs of schools constantly grow and move organically and dynamically. The school has the foresight and vision to dream of a campus that will grow with their needs and fulfill and support their philosophies. Here we see an idea that will potentially double the floor area of the campus, adding a much needed new middle school and a multi purpose space. 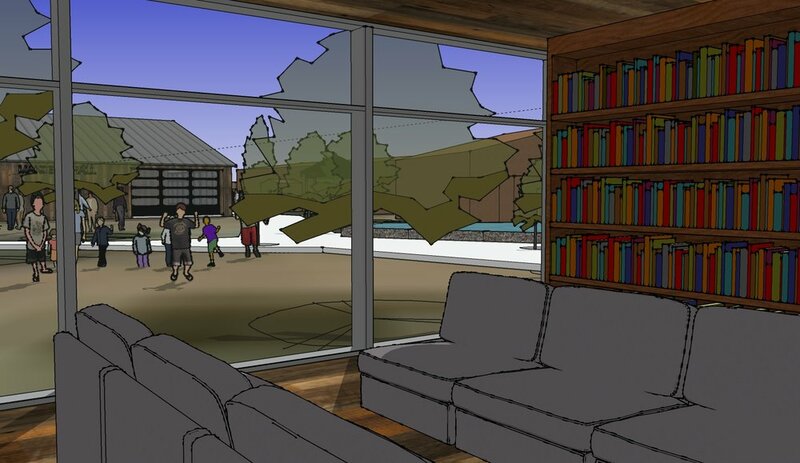 The provision of additional classrooms will allow SFSAS to develop and grow their ever popular summer camp programs and make a reality, a facility for a Literacy Center within the campus, supporting important community programs such as Reading is Magic. Working with SFSAS shows the joy and fulfillment of mutual respect, collaboration and community involvement. Click on the image below to scroll through the gallery. All things fun and interesting about our work.